Last week, when I went to my neighbourhood library, I was in for a huge surprise. There was a huge selection of new stock lined up and there were some books that I had been dying to read. 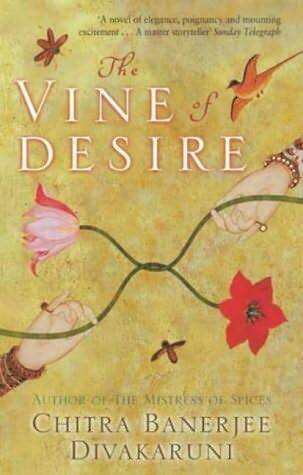 I picked up 19 books, out of which three were Chitra Banerjee Divakaruni books. It is really no exaggeration to say that my joy knew no bounds. I had so many on my list that I was delighted to get hold of these. So off I started on a CBD marathon starting off with The Palace of Illusions. This was one book I had read a lot about and have to say, that I was not disappointed at all. The familiar story of Mahabharata narrated by Draupadi. The woman who nobody names their daughters after. The fiery woman, born from fire, with a mind of her own , in a time where it was not appreciated. Starting from her childhood where she is the unexpected, unwanted daughter till the end. It was refreshing to read the familiar story, which most of us have grown up with, from a woman’s perspective and that too, a woman who had a hand in the way it all turned out. Here we see her human side, how she overcame her own complexes, how she learnt to use people to her benefit. Her love of her brother, who she felt needed her support and help. How she even gave up her deepest desire in order to save his life, only to see him killed far more brutally later. The title alludes to the Palace of Illusions which the Pandavas and Draupadi designed. Their joy and pride, which also in some ways ended up as their downfall. The presence of Krishna, who is by far, my favourite character in the Mahabharata, in almost every important part of her life. There is something about Krishna! The most moving part was her feelings for Karna. Being married to five men and yet yearning for their arch-enemy( and elder brother, unknown to them). It made me wish that somehow the story ends happily, and they get to be with each other. There was something about the way CBD narrates the story through Draupadi which captivated me throughout. Totally worth the read. Rakhi, a struggling artist and divorced single mother, is struggling to keep her living while bringing up her daughter in Berkeley. Her mother is a dream teller and growing up, all she wanted was to be just like her mother. Her father was a non-entity for her – all she could recall of him was of him singing Hindi movie songs. It is after her mother’s death that she starts to understand her father. Just as she and her friend Belle were to lose their livelihood, that her father steps in, helps transform their nondescript Chai house into the International Kurma House. Rakhi’s self discovery continues as she struggles between trying to understand her mother, herself and her daughter. Her ex-husband’s familiarity with her parents and friends and daughter is also unsettling for her and she continues to resist all his efforts at a reconciliation. Right in the middle of all this Sept 11 happens, bringing up new questions, new doubts for all of them. I think it also helped bring some clarity for Rakhi. 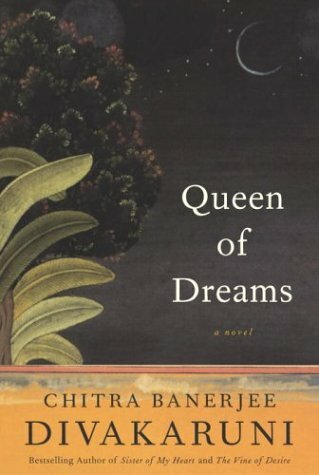 It was a fascinating read, more so because of the unique concept of dream telling. Rakhi’s mother’s struggle to keep a balance between her dream telling and her life with her daughter and husband, Rakhi’s struggle to understand her mother, the yearning, to be like her and to try and be a good mother to her daughter is brought out so beautifully. It just amazed me how CBD handled it all. For me, it was a fascinating read. I found it totally un-putdown-able. This book, was not as captivating as her other books. It is supposed to take off where Sisters of My Heart – which I have not read. So I think I will probably write about this, after I read that as well. But as it was, it was not as good as her other books – that I have read. In some parts of the book, I find it difficult to understand why the characters behave the way they do. All in all, I like the way she writes, she does manage to capture one’s imagination, most of the time. I think Sister of My Heart is the next book that I would like to read of hers. Though I think I have had my fill of stories of immigrants in America. I am now reading The Silent Raga – which I am thoroughly enjoying. A Good Indian Wife by Anne Cherian. I just picked it up on a whim – have any of you read it? Is it worth the read?